FlipperHost is a privately owned and operated global hosting provider incorporated in 2009 as a sub company of Invest Lion Group. FlipperHost eventually grew to become a full-service provider in, shared web hosting, reseller hosting, dedicated servers, Virtual Private Servers (VPS), Windows VPS, VDS and KVM servers as well as complex hosting solutions and has grown to become one of the well known Hosting Solution providers Worldwide. Flipper Host is staffed 24/7 by industry professionals with years of IT experience, insuring you the highest level of service and satisfaction possible. 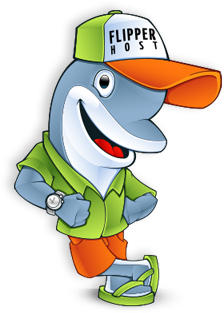 We have been with Flipper Host for over 2 years and they have been continuously delivering good uptime and speed. We shall not forget the fact that they are always there to help incase of any issues as well.